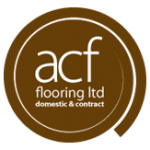 Here at ACF we aim to offer only the highest quality of product and service. Together we have over 35 years experience in the flooring trade and only use the most competent fitting teams to provide the perfect final finish. 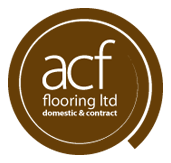 Our mission is to give our customers’ the widest choice of flooring whilst offering genuine advice and friendly service. We provide both quality and inexpensive carpets & flooring to suit any budget. We supply and install a huge range of floor coverings for both the domestic and contract customer. Quality ranges are available in Carpets – Vinyl – Solid Wood – Engineered Wood – Laminate Flooring – Safety Flooring – Commercial Flooring – Rugs – Designer Flooring / LVT’s such as Amtico & Karndean. Personal visits by our team to survey and quote are free and arranged for a time to suit you, with no obligation. We pride ourselves on the number of recommendations we receive, with many customers from far and wide, returning time and time again. Call in Store, Telephone or Email today to arrange your home visit.